GARY, Ind. 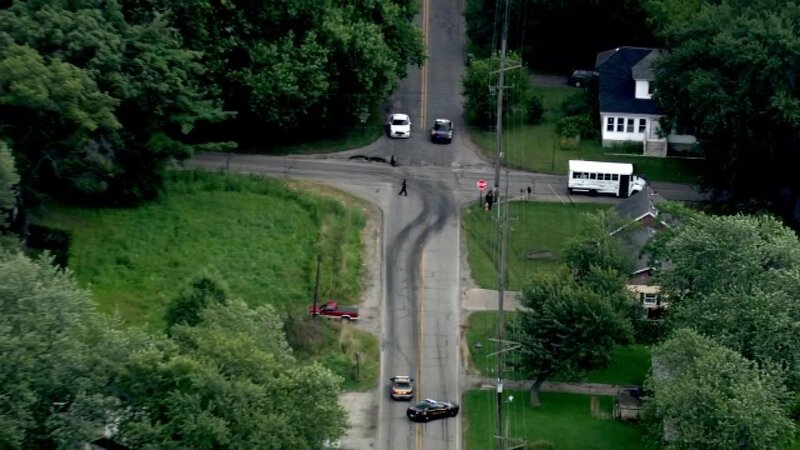 (WLS) -- A 6-year-old boy was killed when a car collided with a school bus near Gary, Ind. Thursday morning. The Lake County sheriff's office said the victim, Malachi Waiters of the 4100-block of West Rutledge Avenue in Gary, was injured when the driver of the Honda Civic he was riding in disregarded a stop sign and hit a school bus. The crash occurred at approximately 8 a.m. near 41st and Calhoun Street in unincorporated Gary, about two miles from his home. Waiters was transported to Methodist Northlake Hospital in Gary. The Lake County coroner's office reported that he died there at 8:41 a.m. from blunt force trauma. Another child in the car did not sustain life-threatening injuries and was transported to Munster Community Hospital. The driver of the Honda Civic was a 27-year-old man from Merrillville with a suspended driver's license and an outstanding warrant for a previous incident of driving without a license. A preliminary investigation from the sheriff's office found alcohol, speed and traffic offenses contributed to the accident. He was taken to Methodist Southlake Hospital for evaluation before he was processed at Lake County Jail. The driver of the school bus was also taken to Methodist Northlake for evaluation. Three children who were on the bus were treated and released to their parents at the scene. The Lake County sheriff's Traffic Reconstruction Team is assisting with the investigation.